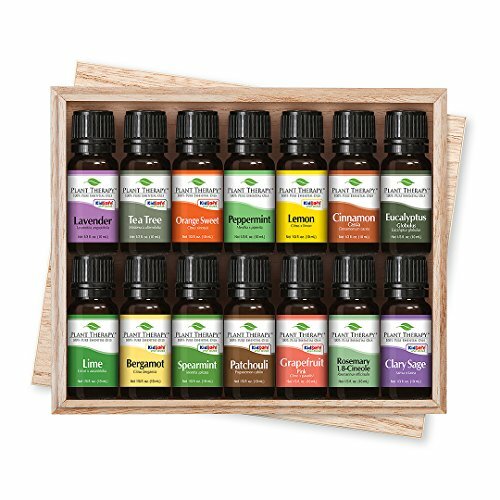 PLANT THERAPY TOP 14 SINGLES SET: Contains 10 mL each of Bergamot, Lime, Cinnamon Cassia, Peppermint, Grapefruit Pink , Lavender, Lemon, Spearmint, Clary Sage, Patchouli, Eucalyptus Globulus, Rosemary 1,8-Cineole, Orange Sweet, and Tea Tree. Comes in a wooden storage box. RELIEVE HEAD OR NECK TENSION: Peppermint can be diluted in carrier oil and applied to the temples and back of the neck when having head and neck tension. GREAT FOR DIFFUSION: In your favorite aromatherapy diffuser, personal inhaler, or diffuser locket, combine equal parts of Bergamot, Patchouli, and Grapefruit Pink for an aroma that is amazing and relaxing. Diffuse equal amounts of Lemon and Peppermint in the morning or whenever you need an extra boost. 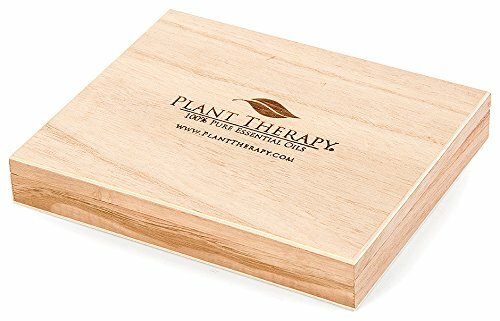 PLANT THERAPY TOP 14 SINGLES SET Plant Therapy’s Top 14 Singles Set contains 10 mL each of Bergamot, Lime, Cinnamon Cassia, Peppermint, Grapefruit Pink , Lavender, Lemon, Spearmint, Clary Sage, Patchouli, Eucalyptus Globulus, Rosemary 1,8-Cineole, Orange Sweet, and Tea Tree. Comes in a gorgeous wooden storage box. 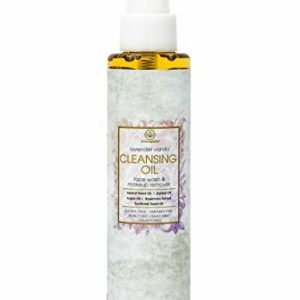 MOST POPULAR SINGLE ESSENTIAL OILS Each of these remarkable essential oils have unique therapeutic properties and have become the most popular oils among our customers. Easy to use and beneficial to your overall well-being, the Top 14 Singles Set is a must-have. 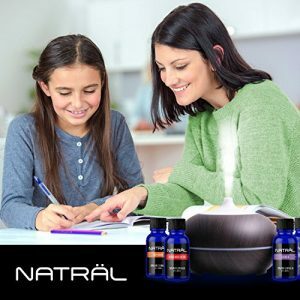 Whether you are looking for an oil that will support a healthy immune system, help you unwind after a chaotic day, relieve head or neck tension, or uplift your mood, this set is the perfect set for you. 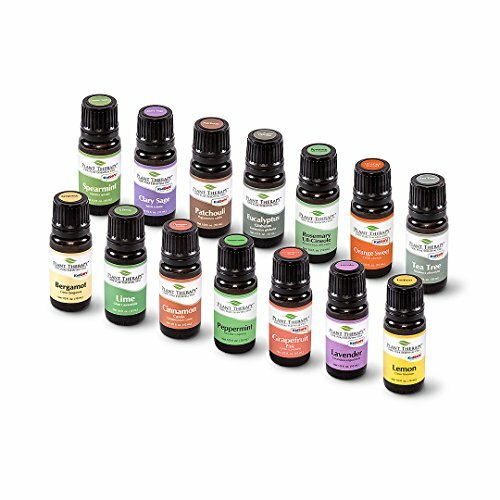 AFFORDABLE, HIGH-QUALITY ESSENTIAL OILS Our goal at Plant Therapy is to positively impact the lives of as many people as humanly possible. By selling such a high quality product at an affordable price, we not only positively affect the lives of our customers, it also gives us the financial means by which we can help those who are less fortunate to live a happier, healthier, and more productive life. EASY TO USE In your favorite aromatherapy diffuser, personal inhaler, or diffuser locket, combine equal parts of Bergamot, Patchouli, and Grapefruit Pink for an aroma that is peaceful and relaxing. Diffuse equal amounts of Lemon and Peppermint in the morning or whenever you need an extra boost. Peppermint can be diluted in carrier oil and applied to the temples and back of the neck when having head and neck tension. RELIEVE OCCASIONAL DIGESTIVE UPSET: To help with occasional digestive upset, add Rosemary 1,8-Cineole to your favorite carrier oil and rub in a clockwise fashion over the abdomen.